I slept like a baby last night but woke up this morning feeling rested for the first time in a while. 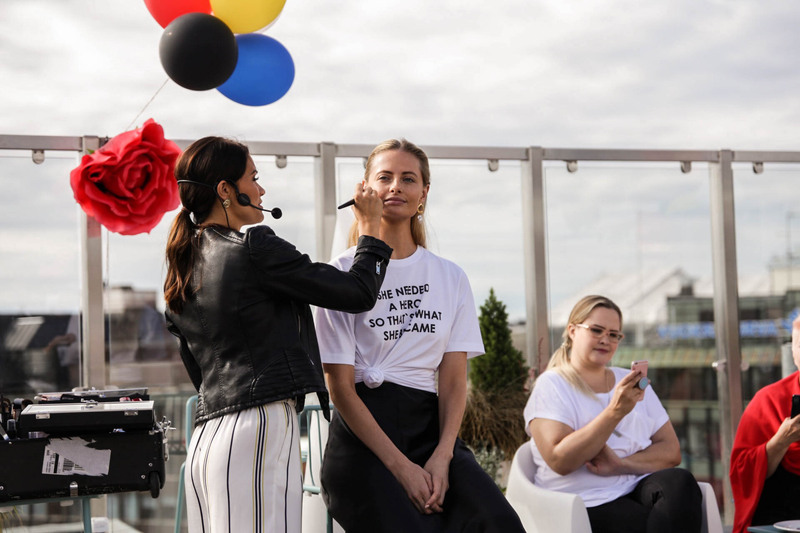 At 8.30 am I walked towards Stockmann’s rooftop terrace to go through today’s event with L’Oréal Paris. As I have the honor to be the it-girl for the brand, I got to be part of the launch of the seasons newest products. I love this turquoise look Pipsa gave me on stage. Believe it or not, but I’ve actually worn turquoise eyeshadow off -duty this summer. I love a carefree look with freckles and messy brows paired with bright turquoise eyelids. I prefer the eyeshadow to be very uneven and not perfect. Almost tapped onto he eyelid with the fingertips. Today, I’m editing pictures all day before I pick up the kids a bit earlier than usual. They’ve had a long week already and some difficulties adapting to our everyday routines. As have I. By the way, speaking of Stockmann’s rooftop terrace, it’s the perfect spot now, when the weather is still warm but the light softer. I want to spend every awake and free moment outdoors, therefore I’m definitely going to come back to the terrace for lunch or coffee with a friend one day soon. So pretty! Hei! 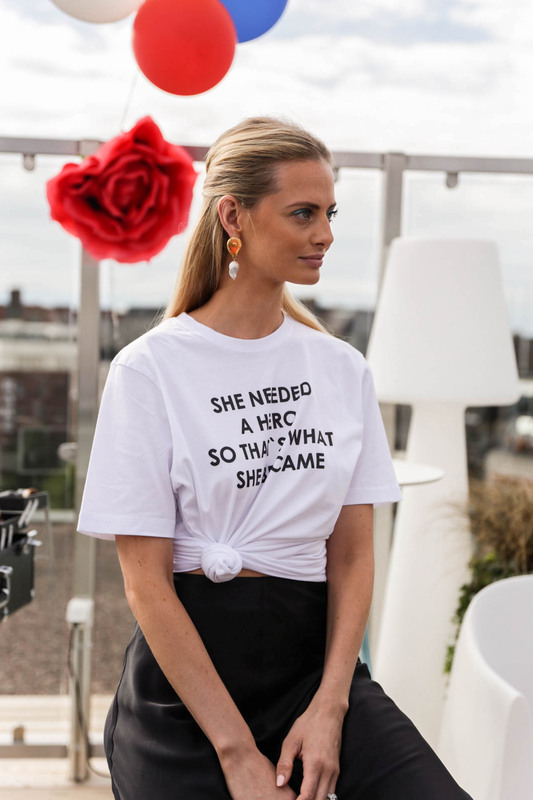 Mistä tuo statement t-paita? Hei! Tämä hame on Samsoe & Samsoe ja on kyllä niin ihana!